You are currently browsing the tag archive for the ‘unplugged’ tag. There are some people who embrace a lack of technology – when we are overwhelmed with our phones, ipods, laptops and gadgets, some people just chuck it all. 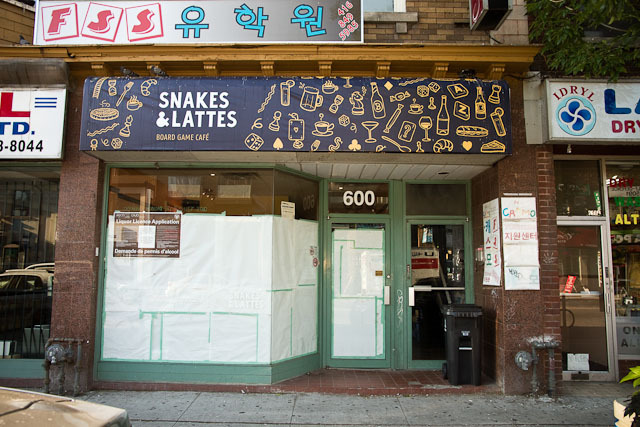 A new game cafe with a great name, Snakes and Lattes (get the play on words with that childhood board game we all played) is opening up in Toronto. Owner Ben Castanie and his partner and girlfriend Aurelia Peynet are opening up a cafe equipped with 1,500 plus board games. The cafe is the first of its kind in Toronto, although these types of cafes are popular overseas. For a $5 fee, a customer receives unlimited use of the board game collection during their visit at the cafe, which also serves coffee products and snacks and is awaiting a liquor license. We’ve had our fair share of rounds of Pictionary and Taboo a’la alcohol and it can be quite fun, should be interesting to see how their business works out. They offer to hook groups of people up for games where groups or teams are required. Who knows, they could be onto game dating. In any event it should be interesting to see how long customers can last being ‘unplugged’. Not a WiFi hotspot to be found evidently. For the entire article that ran in the Torontoist check here.